WASHINGTON — It wasn't just a salute to a president, it was a tribute to a generation. Bush spoke to an audience sprinkled with other members of what's been called "the greatest generation." There are few left among Washington's elite. Congress said goodbye to its last World War II veterans in 2015. 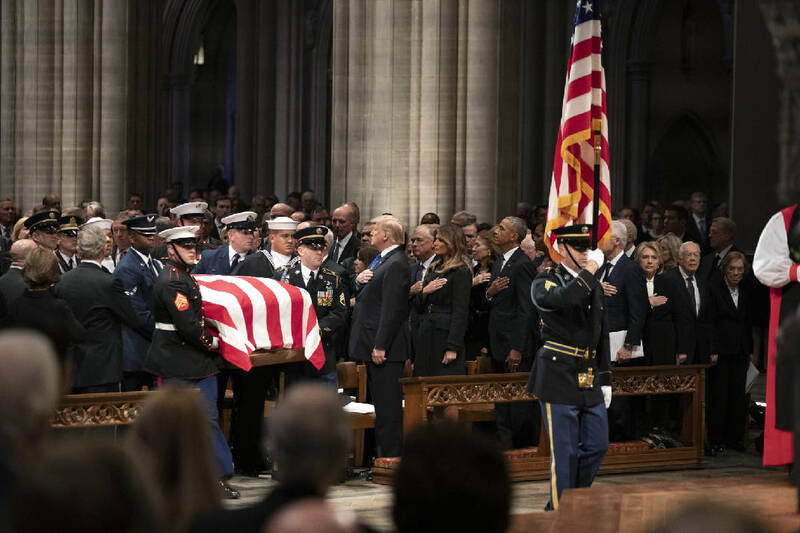 In the audience was former Sen. Bob Dole, 95, a veteran of the same war, who on Tuesday rose from his wheelchair with assistance to salute Bush's casket under the Capitol Rotunda. President Jimmy Carter, 94, who spent the war years at the Naval Academy, attended with his wife, Rosalynn.